Development is a multi-faceted process. It includes many aspects. In the study of educational psychology, not only the child’s intelligence but, for his wholesome development, physical, mental, social, emotional stages are also necessary. All these aspects of development are mutually related. While describing the development of child, the meaning of development, stages of development, structure, principle, and various aspects of development shall be considered briefly, and it will be appropriate. The natural development of a human is called Growth. The changes that happen after the creation of embryo in the womb until his birth, is growth. Apart from this all the changes that happen after the birth till the old age, which are not affected by learning and training and are progressive, is also growth. The nature of growth is like development but there is difference between both the thoughts. Development includes the abilities that are earned by learning and training; however growth has no importance of these factors. Liking, coming out of teeth is a growth however acquired abilities have no role to play in it. Growth has its own direction and time limit. Educational Psychology studies the human behavior in the educational situation and its objective is to bring about the desired changes in the behavior of the child. Hence it is important for the teacher to know the changes that take place in a child as a result of growth and development. Often both these terms are thought to be synonymous as they both point towards the progress. However the psychologists have suggested some difference between the two and hence it is important to under this difference. The general meaning of growth is the increment in shape and size of the organs, weight, and height. The meaning of development is more general. When from infancy to childhood, adolescence to adulthood, the growth that is observed in the limbs of the child we say that he is growing. It is obvious from this that the growth can be weighed and measured. But sometimes we see that in spite of the growth of the limbs in the child, their ability has not increased properly then we say that there had been no development. Development of organs work - and indicates the capabilities. As it has been told that growth can be measured, however the development can only be noticed through the changes in human behavior. Hence development is the qualitative changes of a person, due to which he progresses or regresses. Development takes place in a definite order. Development has a definite direction and aim. According to Hurlock, the process of development continues throughout the life in a definite order, and every stage affects the next one. Gesell has described the meaning of development in this fashion—“Development is more than a concept. It can be observed, appraised, and to some extent even measured in the three major manifestations (a) anatomic (b) physiologic, (c) Behavioral.... behavior signs, however, constitute the most comprehensive index of developmental status and development potentials. Therefore we will study growth and development in the same meaning. The growth and development mean the stages from pregnancy till maturity. All the changes that a man goes through from the pregnancy till maturity, all come under development, as a result of development a man gets maturity. Maturity means getting growth and development. Maturity, development and growth are closely related. The meaning of maturity, growth and development has been discussed further. The phenomenon of development begins with the embryo creation in pregnancy and it is very rapid in the early stages. Within the pregnancy a child takes birth after maturing till certain limit. After the birth he ends in maturity finally. In development, the changes take place in an order that only point to maturity. One stage of the maturity helps a living being in developing normally. The maturity affects the development of a child majorly before birth. Every stage of growth and development is majorly affected by maturity, for example when an infant’s muscle become strong enough to walk, he begins walking. Therefore maturity helps growth and development. In fact the objective of growth and development is to get maturity only. The speed of growth and development becomes slower later this is the reason why the speed of growth and development is highest in the mother’s womb, which is the first stage of development. And later adolescence which is the last stage of the development of the human being, it is least. Maturity is the aim of natural growth. The process of maturity goes on till the certain age of the human being. In the last stages of adolescence, means the age if 21, this process finishes. There are two aspects of the personality of a human being, are physical and mental. The natural and complete stage development and growth is called complete maturity. The stage at which these are obtained, is called old age. Hence the objective of all the stages of development is to get the old age. The maturity and old age has an effect of learning and environment. This is why maturity shows up on different age groups among the people living in different geographical and social condition. Maturity is mainly the reason of development. Development becomes possible only by the mutual reactions of both. Learning is not possible in the absence of maturity. A certain stage of maturity is needed for learning. Therefore learning and development, both depend on maturity. In spite of huge correlation among maturity, development and learning, all these three differ from one another. Maturity means natural development. When the development of a man’s abilities happen naturally without the aid of learning and training we call it maturing, where as the development is obtained via desired and progressive changes. The effect of maturity on the development was tested by Gesell and Thompson in 1929. This method used Co-Twin Control method. In this experiment two twin baby girls were taken. One of them was trained to climb the staircase from the age of 46 weeks till 52 weeks. The other girl was just controlled watched without any training. As a result of development with the help of training, the first girl took 26 second to climb the staircase; where as the other girl took 45 second without any training in 52nd week. Controlled 53-week old girl has been practicing move from step 2 weeks. After this the two weeks training was given to the girls who was controlled, it took only 7 seconds after the training of just 2 weeks for the controlled girl to climb the staircase in the 55th week. Therefore we can say that due to maturity, the second girl succeeded in climbing the staircase in a very less time in spite of less training compared to the first girl. Principle of Developmental Direction—As per this principle the development of the child happens from head to feet. Psychologists have called it Cephalocaudal direction according to which, the head, body and limbs develops sequentially in a child. 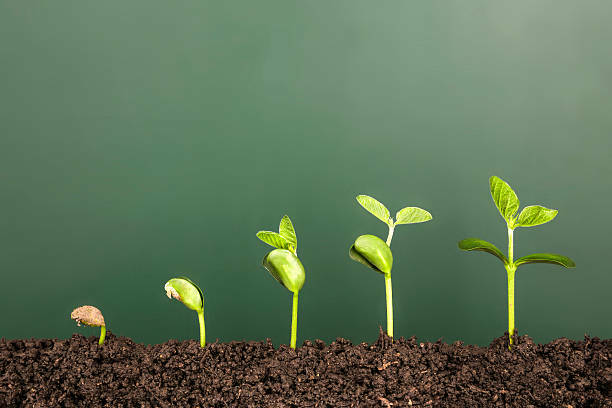 The Principle of Continuous Growth—According to Skinner, “The principle of continuous growth only focuses on the fact that there are no sudden changes.” The development does not happen with the same speed, however it continues without halt. It can sometime be slower or faster. The principle of individual difference in the rate of Growth—It has been proved with the help of scientific studies that rate of development of two different people is different. The man who is taller at the time of birth will be taller as he grows. Two different children of the same age may have two different physical, mental and social development. The principle of development sequences—According to this system the development of a child happens in a sequence. The motor and linguistic development of a child happens in fixed sequence. He makes a special sound from the third month, he begins to laugh heartily, and from the seventh month he begins to make sounds like “Pa”, “Ba”, “Ma” or “Da”. Principle of Interaction of Heredity and Environment—The development of a child happens due to the interaction between the heredity and environment. Hence, “Heredity defines the limits beyond which the child cannot develop, in the same way it has been proved that bad environment and illness at the time of birth, may harm the abilities with which a child is born with.” Skinner has passed the above thoughts. The phenomenon of development of the child begins while he in the mother’s womb and continues through his infancy, childhood, adolescence, adulthood and maturity. Development is a multi-faceted process. It includes many aspects. In the study of educational psychology, not only the child’s intelligence but, for his wholesome development, physical, mental, social, emotional stages are also necessary. The natural development of a human is called Growth. The changes that happen after the creation of embryo in the womb until his birth, is growth. Educational Psychology studies the human behavior in the educational situation and its objective is to bring about the desired changes in the behavior of the child. Hence it is important for the teacher to know the changes that take place in a child as a result of growth and development. Development is the qualitative changes of a person, due to which he progresses or regresses. Changes are sequential in development which point towards the maturity. Every stage of growth and development is majorly affected by maturity, for example when an infant’s muscle become strong enough to walk, he begins walking. Therefore maturity helps growth and development. In fact the objective of growth and development is to get maturity only. Maturity means natural development. When the development of a man’s abilities happen naturally without the aid of learning and training we call it maturing, where as the development is obtained via desired and progressive changes.